In life, there are people who actively choose to not understand mental health at all. This is where the stigma lies, in my opinion. It’s like they just want to see that everyone is normal. And if you’re not normal, then you are just plain crazy. So how do we tell anyone what is wrong? What our demons are like? It is hard for me to tell people when I am feeling anxious. They all look at me like I am crazy. Like why would I be so nervous or anxious? That I shouldn’t have anything to be afraid of. It is times like these, where you know people are intentionally judging you. Because they won’t understand. Because they think you are crazy. Because you just want attention. Because you are faking it. Because of this….I mostly pretend. 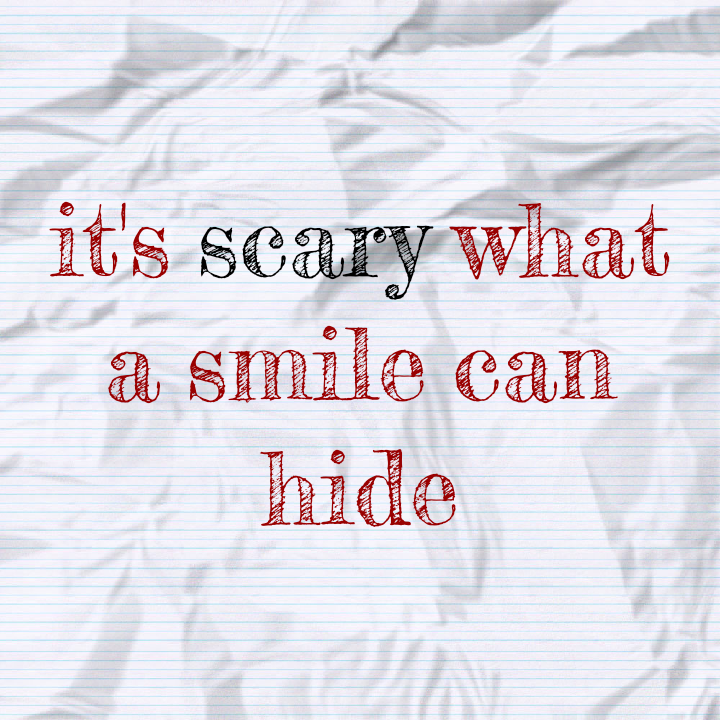 It is quite amazing what a smile can hide. A smile can hide your pain. A smile can hide your anxiety. A smile can hide your demons. When you add make up to the mix, you can even hide your tears. This stigma filled world has everyone looking through rose colored glasses. They don’t want to really look past my smile. They actively ignore any signs. They actively want to believe that my smile means I am normal. I am normal. But my normal isn’t their normal. And I am perfectly fine with that. I wouldn’t want to be so naive to not see the mental health in the world. I wouldn’t want to be so naive to think that everyone who has a problem is crazy. What is Normal anyway?